Thailand should not be left alone to fight the avian-flu epidemic because with a possible mutation in the virus enabling it to jump from human to human, the disease will know no borders, Taiwanese Nobel laureate Yuan T Lee said at a lecture in Bangkok yesterday. 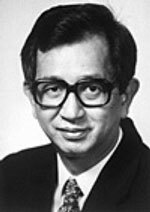 �Mutation of viruses occurs faster than before and any human-to-human transmission of avian flu will be catastrophic for [the entire globe],� Lee, who won the Nobel Prize for Chemistry in 1986, said during his address as part of the International Peace Foundation�s series of lectures at Mahidol University. After his lecture on �Science, Technology and Peace on Earth,� Lee told a group of journalists: �We have to learn to solve problems together and share our limited resources, knowledge and technology. Instead of just making money, pharmaceutical firms should come forward and develop vaccines. The government should also make sure the funds are in place before the companies come in for research.� Earlier in his speech Lee, who had met the prime minister hours before, said: �Next time I see Prime Minister Thaksin Shinawatra, I will ask him to allocate more funds to scientific research.� This resulted in much cheering from the audience. In his lecture he accused pharmaceutical companies of showing a demonstrable lack of interest in developing a vaccine against Sars, a disease probably caused by the new strain of a corona virus which recently jumped the species-barrier between animals and humans in the southern Chinese province of Guangdong. Lee pointed out that in today�s world new scientific discoveries were often translated into technological innovations almost immediately so that science is now at the forefront of economic competition.